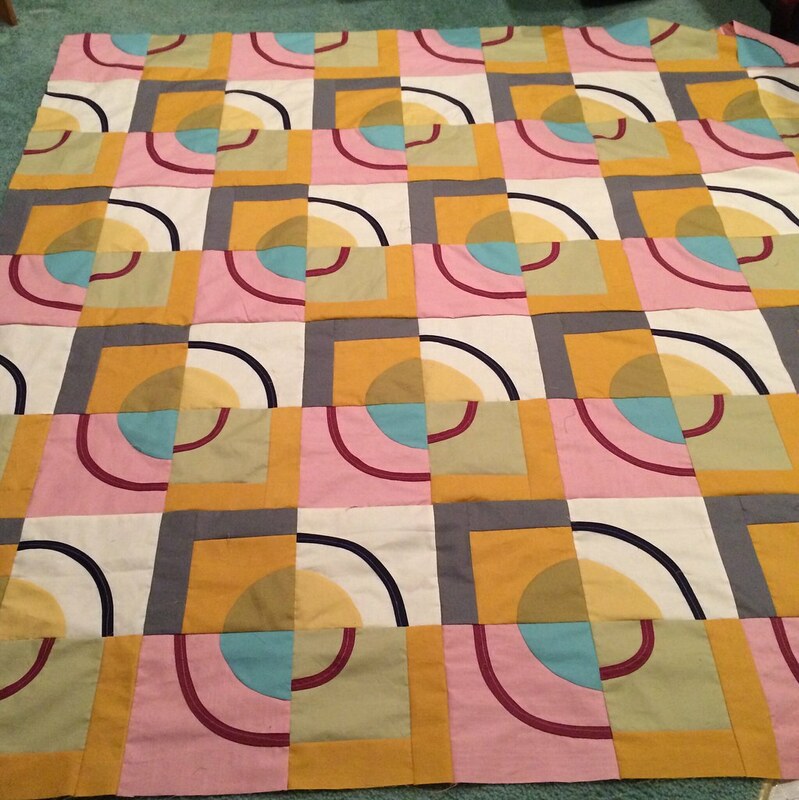 Blotch and Thrum: Orbits Quilt! 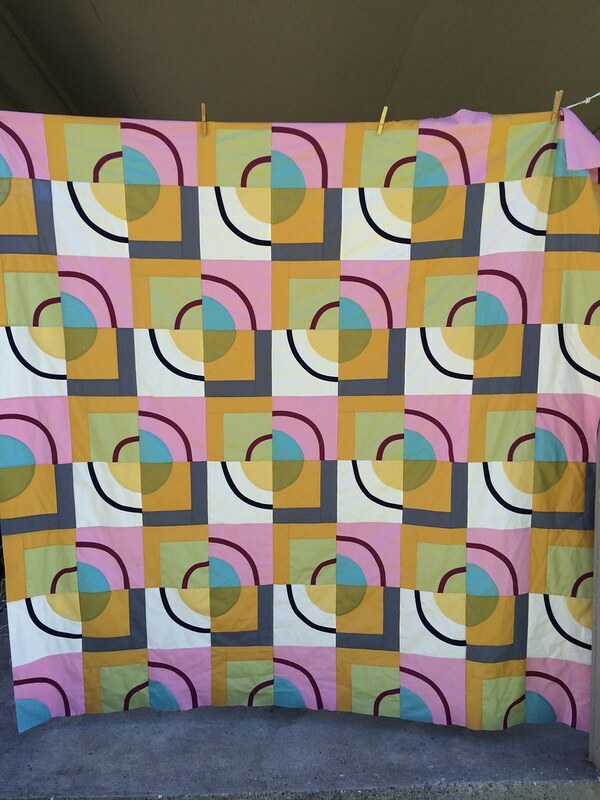 I have my first quilt pattern for sale! 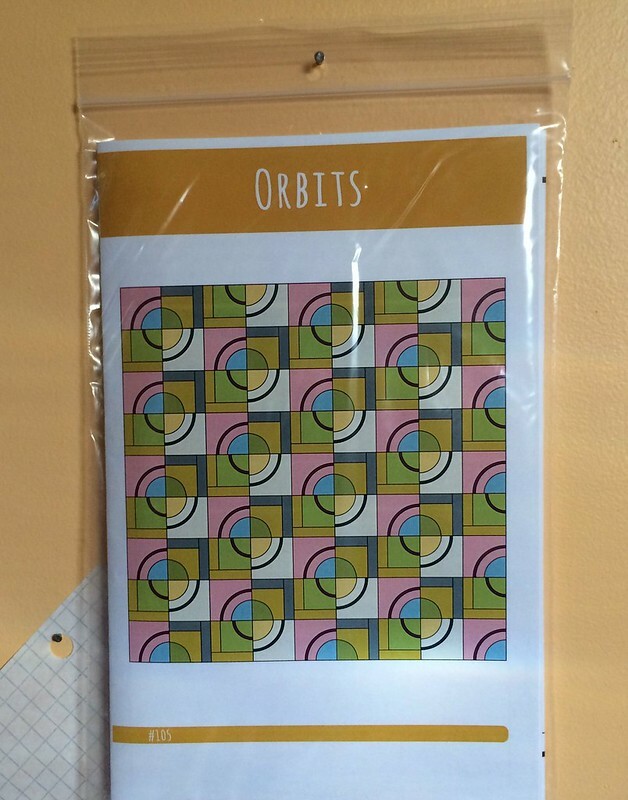 It's called Orbits, and you can buy it here from Pink Castle Fabrics. I called it orbits because it looks both like eyes (right?) and because it has this outer ring, like some planet does...? And what do eyes and planets both have in common? They belong in orbits! Brenda Ratliff and her boyfriend Jason (also of Pink Castle Fabrics) did a lot of the work of getting this from a sketch into a published object. It's one of the Color Inspiration Quilts, patterns designed to go with RJR cotton supreme solids that Brenda picked out. The color scheme is February's and called Date Night. it seems to be upside down? This is the original sketch. 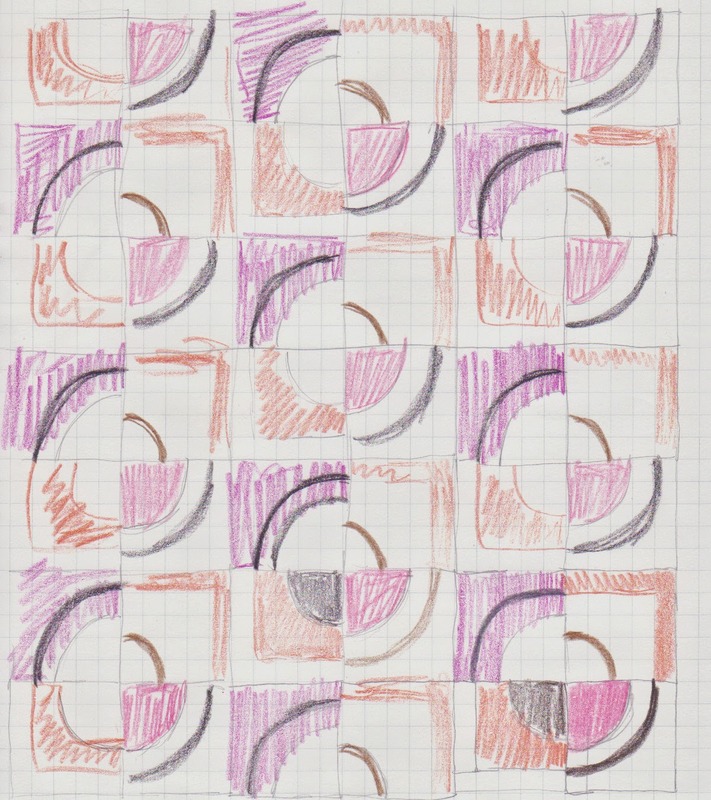 I got the idea working on one of the Round Robin quilts through the Ann Arbor Modern Quilt guild, and made the sketch, but didn't do anything with it, until Brenda asked me if I had any sketches of quilts I wanted to make. 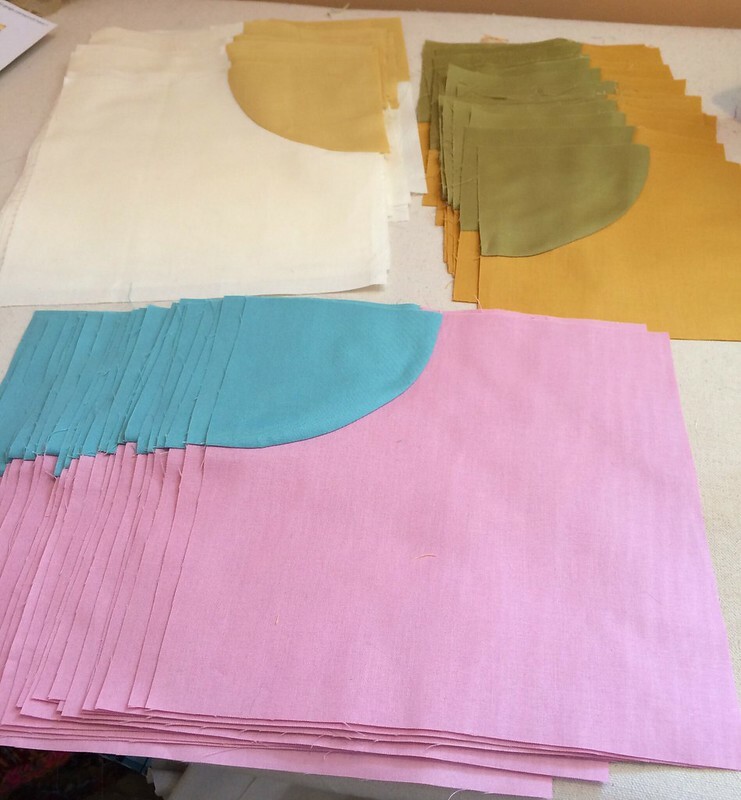 I got the fabric from RJR and put it together mostly, it seems to me, over Easter weekend. It's mostly Drunkard's Path style curves with bias applique for the thin curves. Oh, this navy is delicious! Obligatory late night basement finish picture! Outside in the shade - after the basting thread is removed. 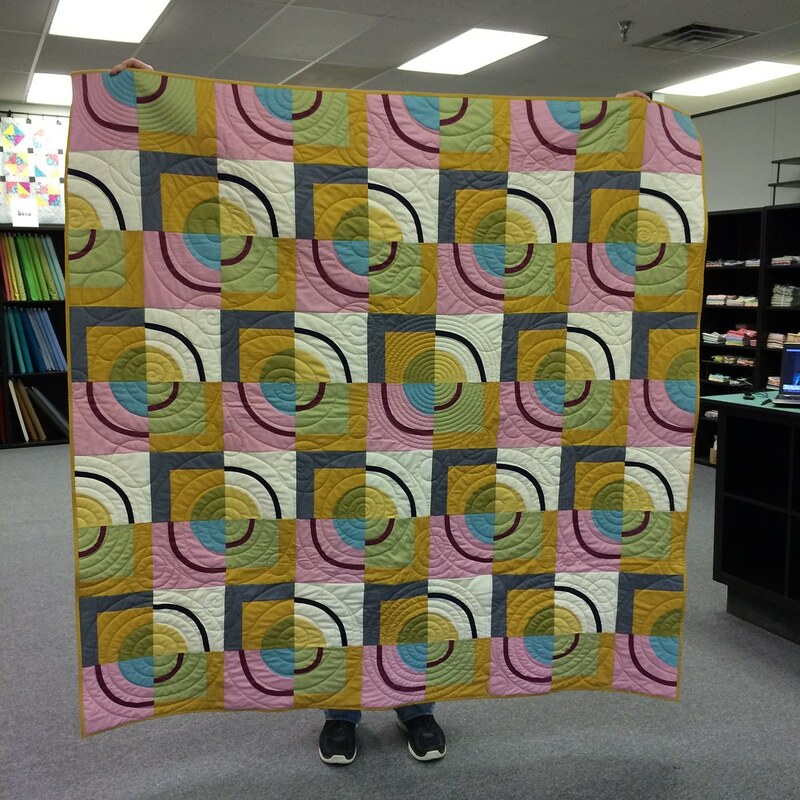 Then it was sent to Kathy Koch of Thread Bear Quilting to be long arm quilted! I really like the designs she used. 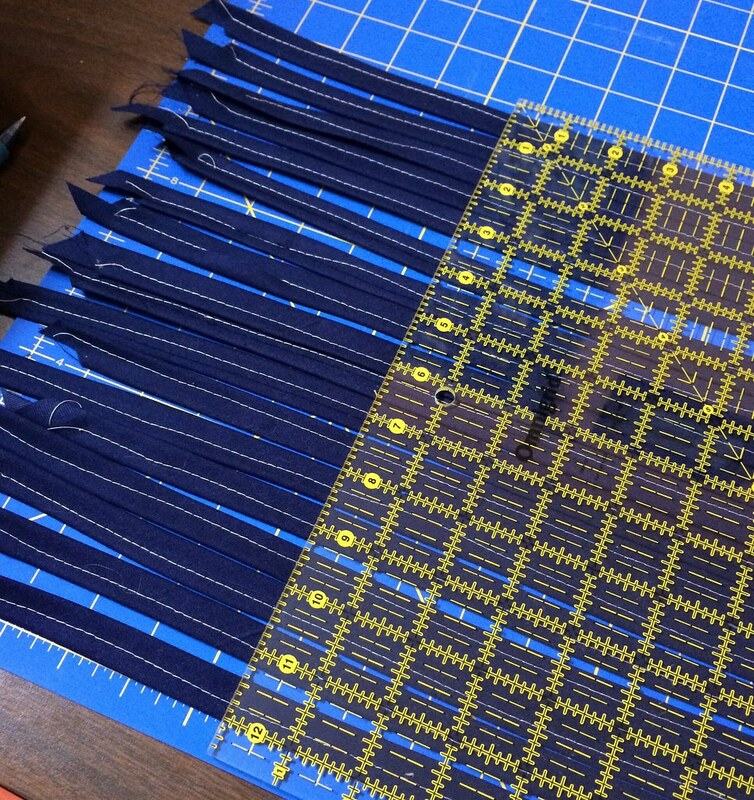 And Ronit ended up putting the binding on, there was a rush to get these out the door to Quilt Market.